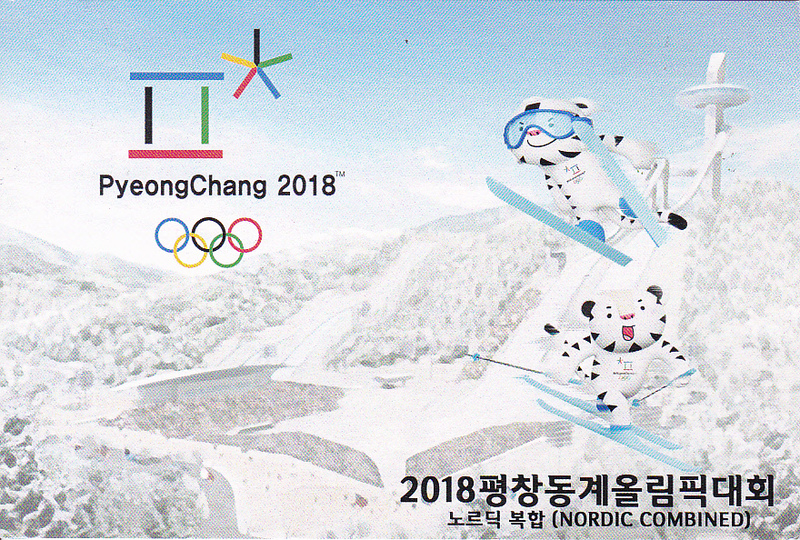 PyeongChang 2018 Olympic Winter Games - Nordic Combined. 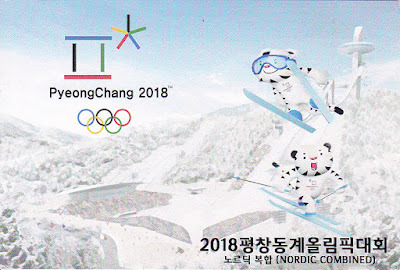 An awesome surprise postcards with Games Mascot - Soohorang - the White Tiger. 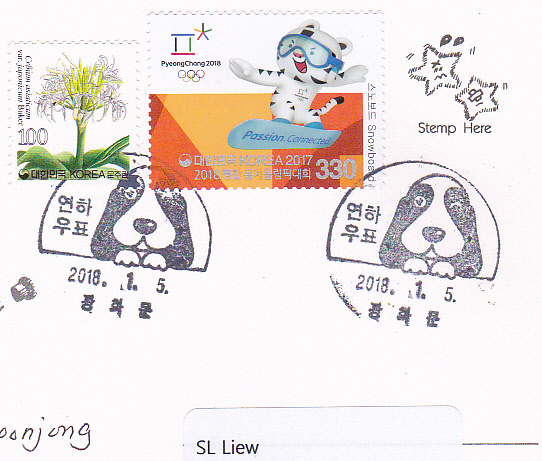 Thanks so much to YJ of South Korea. Wishing a very successful PyeongChang 2018. 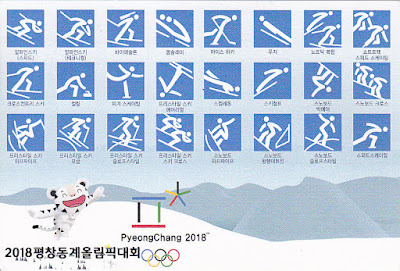 PyeongChang 2018 Winter Olympic Games with matching Olympic stamp. 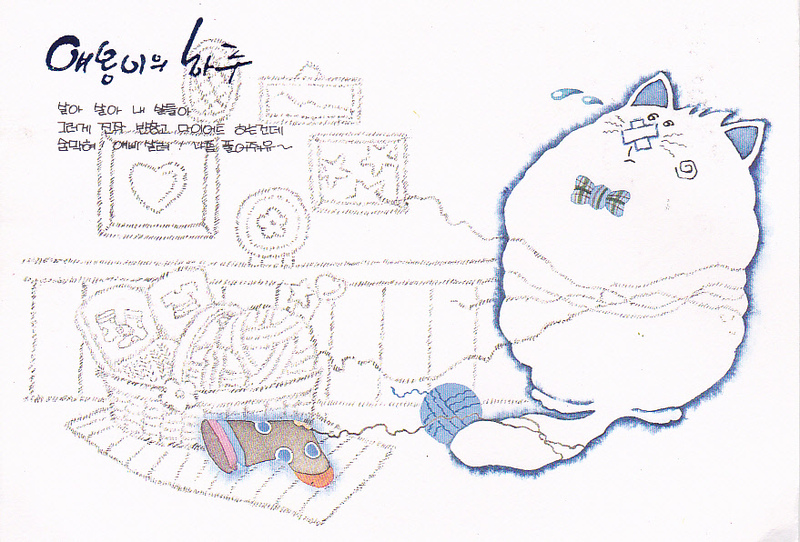 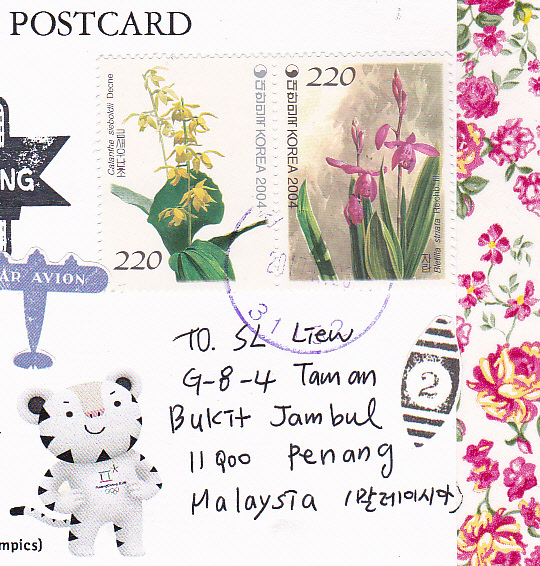 Thanks to Sienna of South Korea. 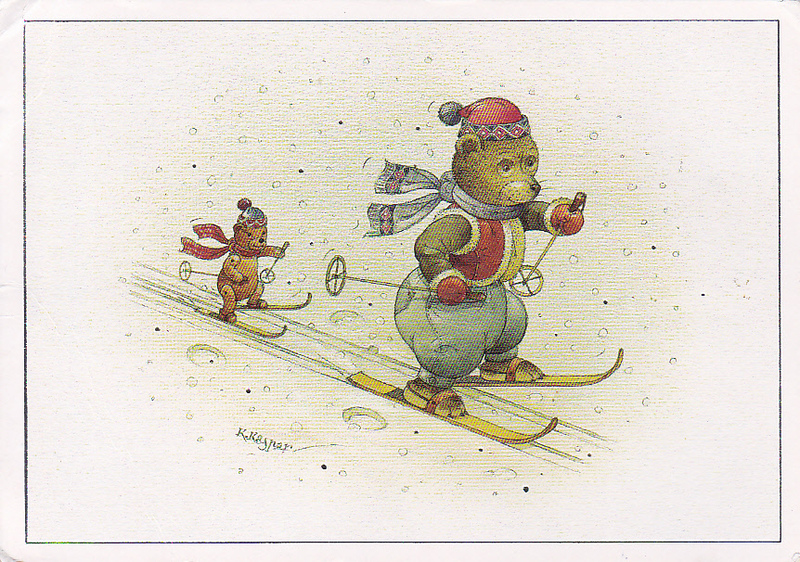 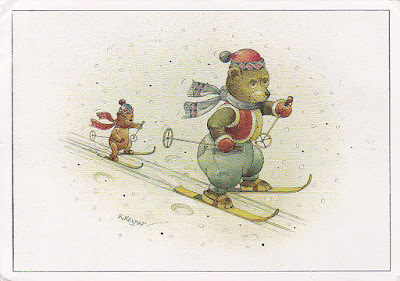 Nice postcard with PyeongChang Winter Olympic Games stamp used. 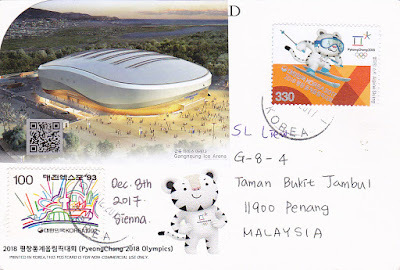 Thanks to CJ of South Korea. 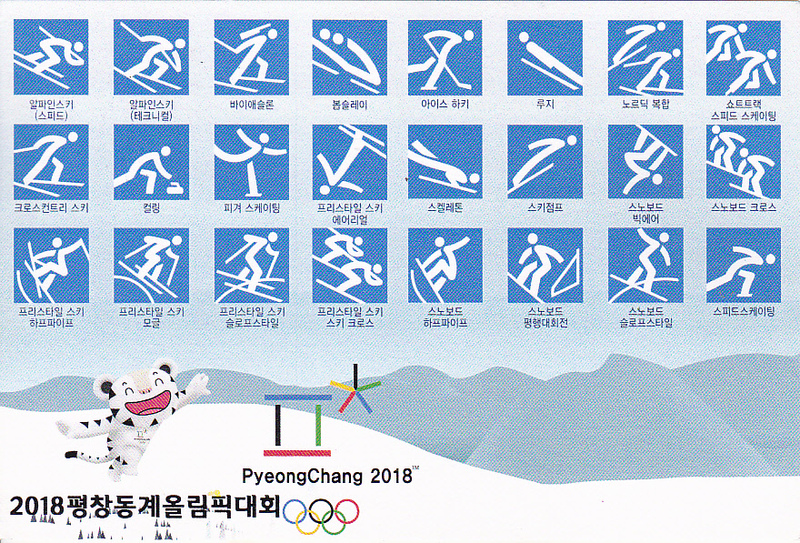 One more PyeongChang Winter Olympic Games postcard with commemorative stamp and special cancellations. 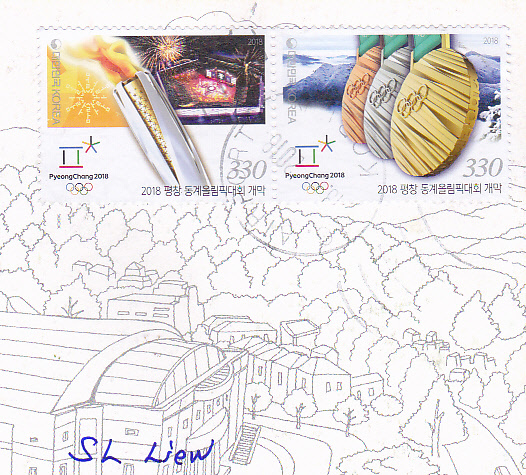 Thanks to Park of South Korea. 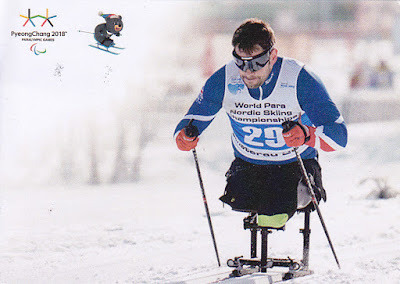 Para Cross Country Skiing at PyeongChang Winter Paralympic Games 2018. Thanks to Park of South Korea. 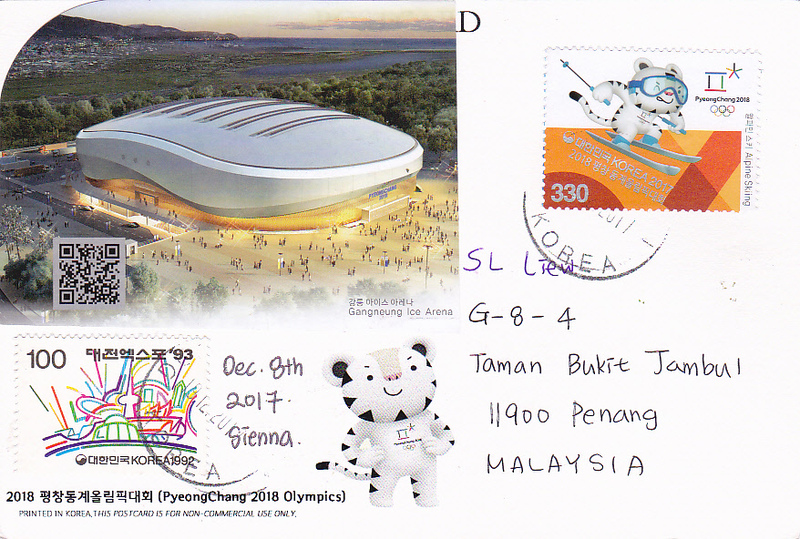 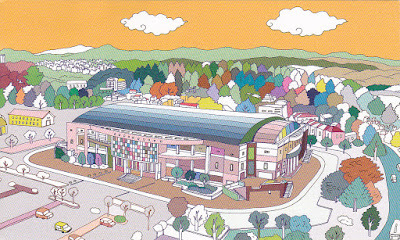 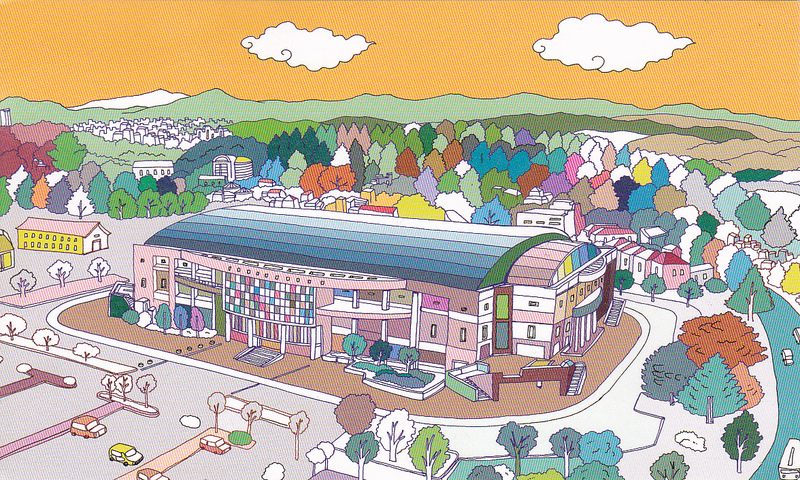 Illustration postcard of Gangneung Curling Centre of PyeongChang Winter Olympic Games with nice matching Olympic stamps used. 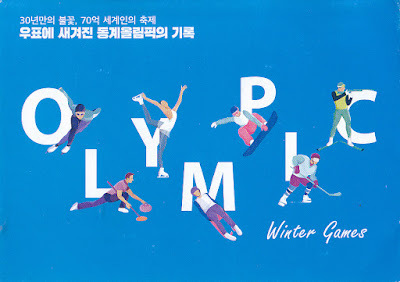 Thanks so much to Kayu of Japan who visited Gangneung to see the Olympic Games. 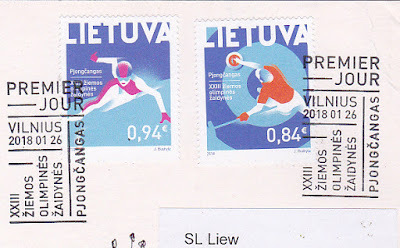 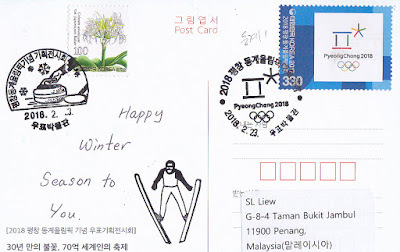 Drawing postcard of winter skiing with PyeongChang 2018 Winter Olympic Games stamps and special cancellation. Thanks so much to Ieva of Lithuania.